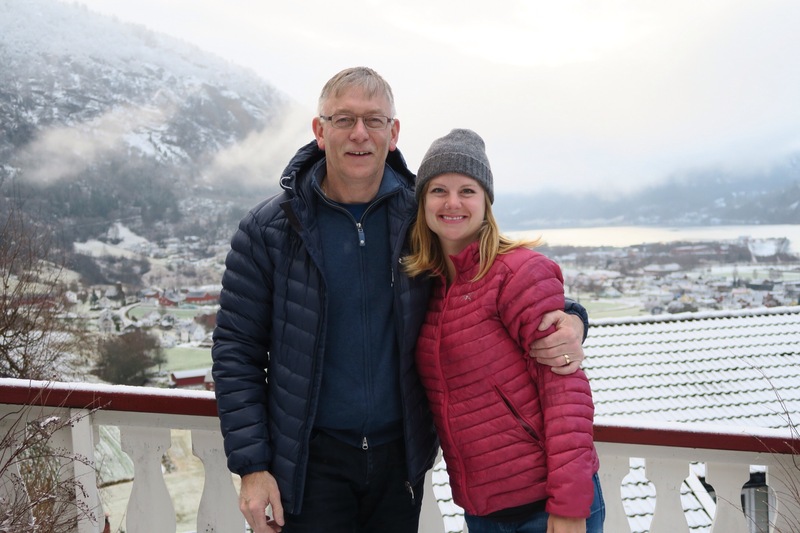 Our last big adventure in Europe, from late November to early December, was spending two weeks in Scandinavia. 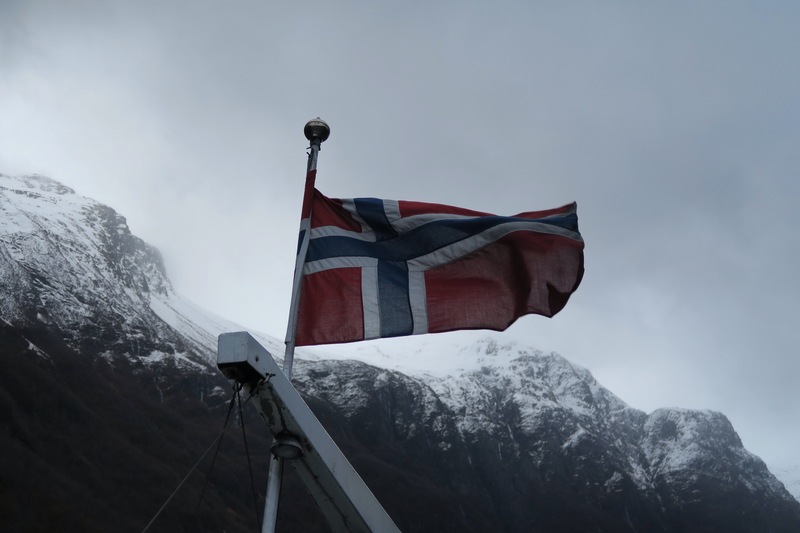 We had planned to visit both Sweden and Norway in search of old friends and unknown family. Along the way, we got a good dose of cold weather and winter fun. 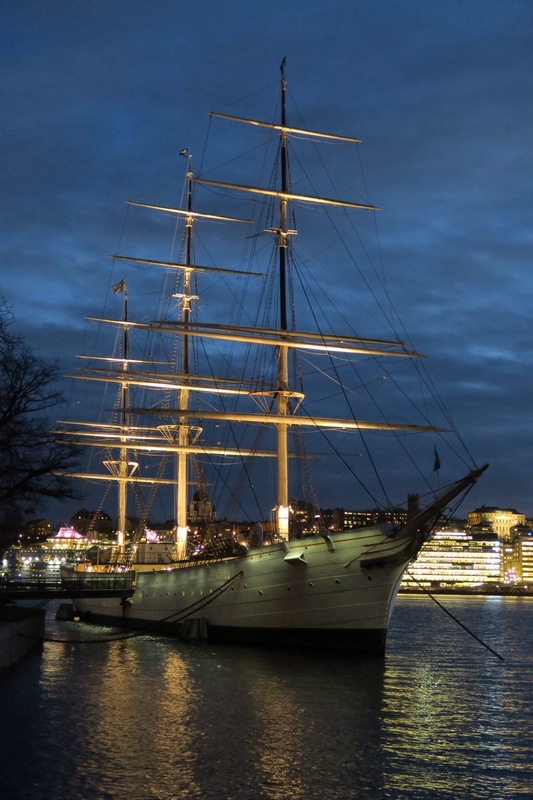 Our first stop in Scandinavia was Stockholm, where stayed on a clipper ship that has been converted into a hostel. This specific boat, the af Chapman, had been on our travel bucket list ever since we’d seen it on a travel show while we were preparing for our trip. We don’t usually book accommodations in advance, but we made an exception for this spot. It was fun to stay in our own cabin on such an old-fashioned ship–and well worth the wait. 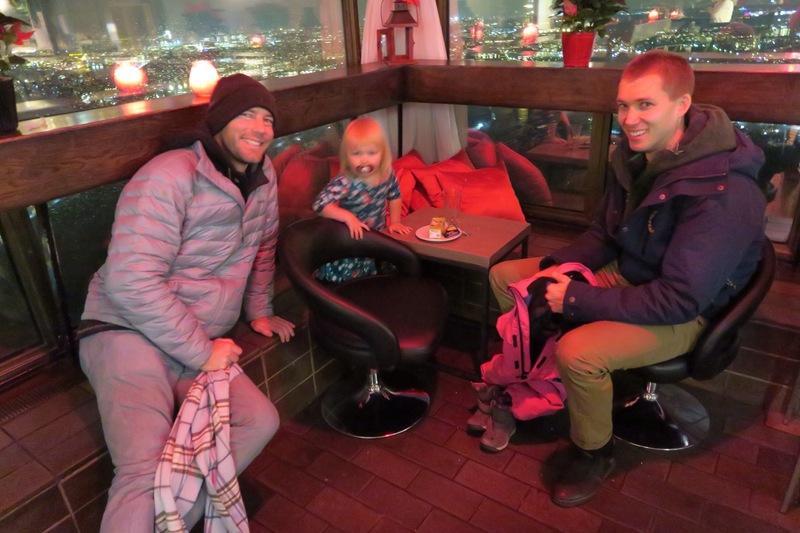 The boat was great, but our favorite part of visiting Stockholm was actually reconnecting with Olaf, a Swedish childhood friend of Mac’s, and his family. They took us to a cool tv tower for an amazing view of the city and showed us all sorts of places only locals could know about. We visited a Swedish daycare, learned about local politics and the Swedish economy and enjoyed amazing traditional dinners. It was more than we ever could have hoped for and was a great lesson in true hospitality. 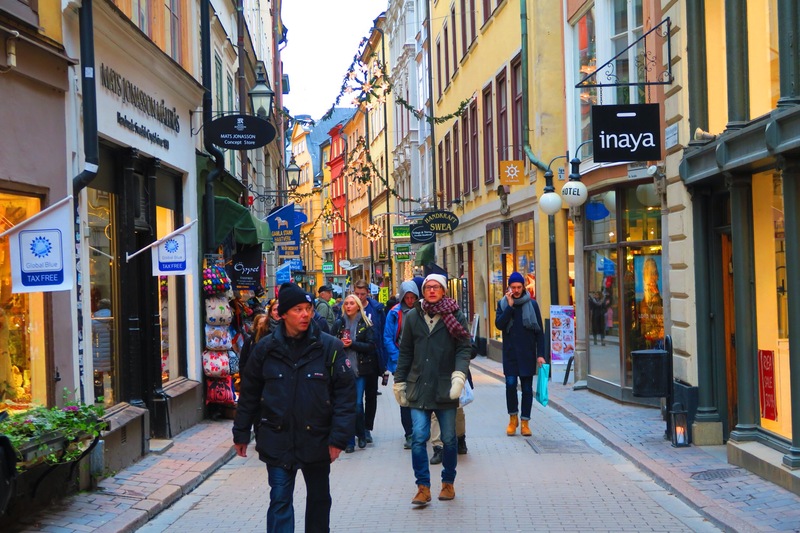 In between visits with Olaf and his family, we explored the city on our own. I loved soaking in the Swedish Christmas spirit. There were decorations and little reminders of the holiday everywhere. And everyone looked so stylish in their cold-weather gear! 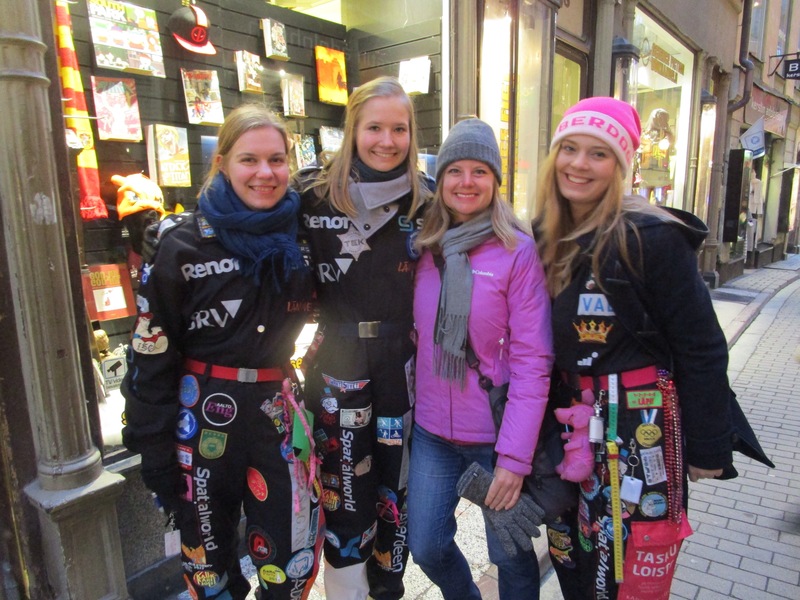 The best-dressed award, though, had to go to a group of Danish girls we met while walking around the old town. They had plastic wine glasses tethered to their very eclectic suits and all kinds of other helpful little tools for impromptu drinking. I had to ask them to explain their costumes, of course, (it turns out the costumes are traditional outfits for Danish students and they’re customized according to the students’ majors) and grabbed a photo with them. From Stockholm, we headed to Norway to meet some of my Norwegian family that I’d never met before. It was quite a journey to get to Gaupne, the town my ancestors are from and where much of my Norwegian family still lives. 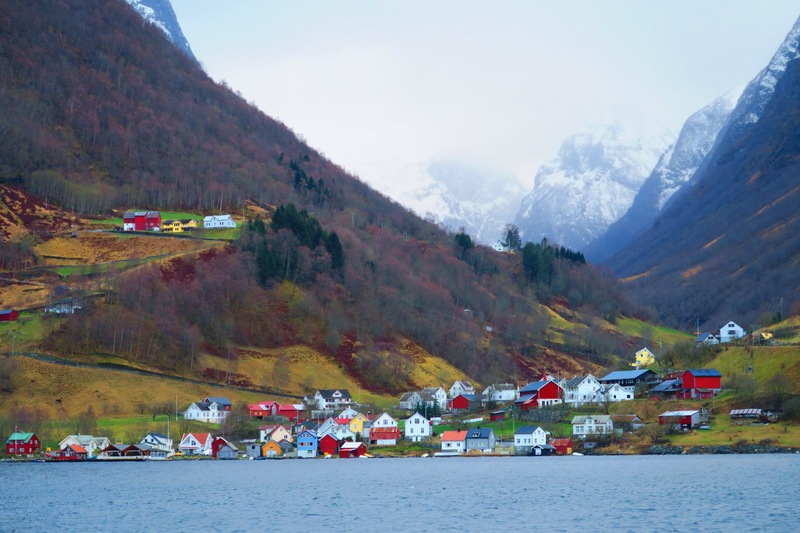 Our favorite part of the journey was on a boat through the fjords. At last we arrived–and it was like a storybook. Odd (pictured below) and Svein, my shirt-tail cousins, took us on a driving tour of the area. 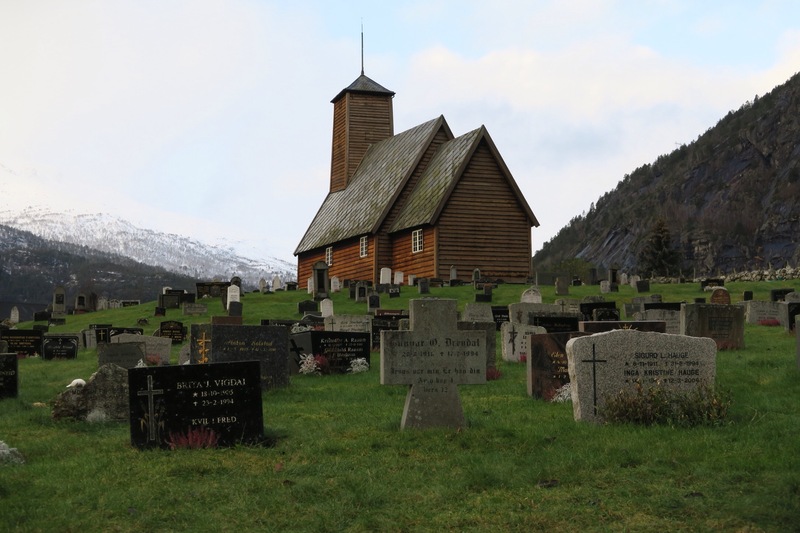 We got to see the church where my great great grandparents–and my great great great grandparents–are buried. 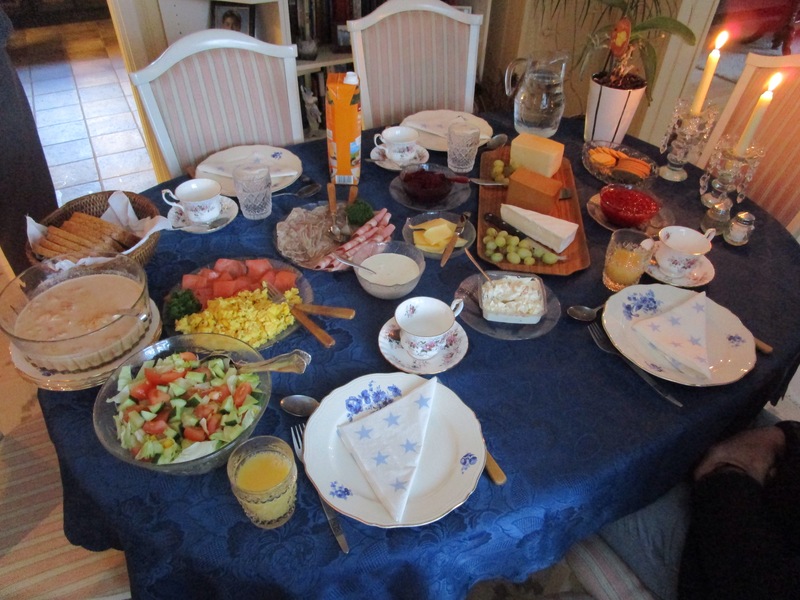 And we were lucky enough to meet even more of my family and get invited to a big Norwegian lunch at Svein’s house. It was such a wonderful couple of days. I really loved learning more of our family history, hearing stories about my great grandpa and seeing heirlooms that have been in the Øvrebø family for generations. I even got to learn how to correctly pronounce our original last name (kind of–it’s actually really hard). 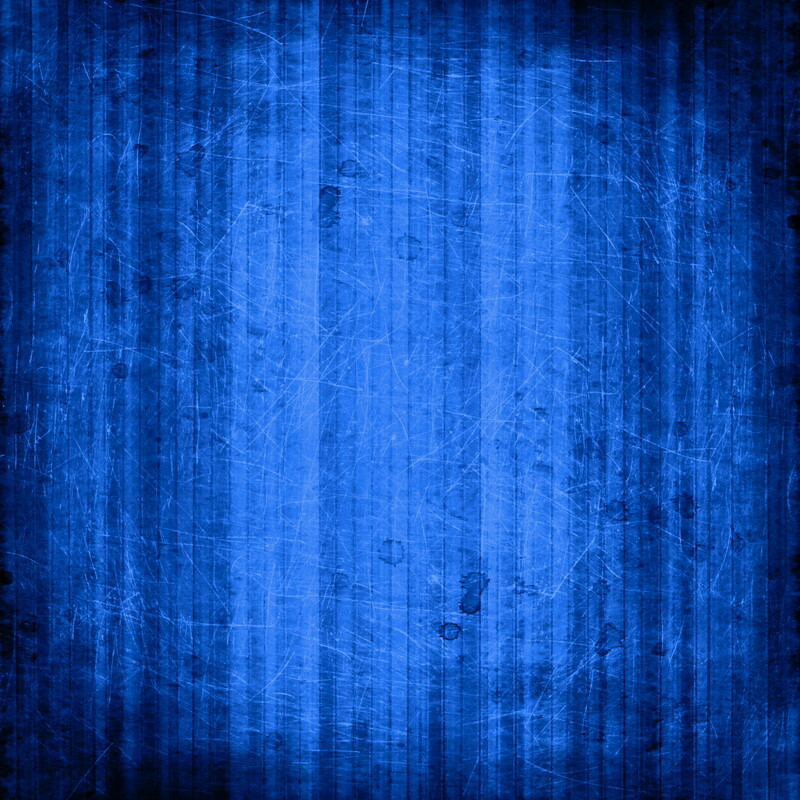 It was a really special experience. With friends and family checked off our list, only one big thing still remained for us in Scandinavia. 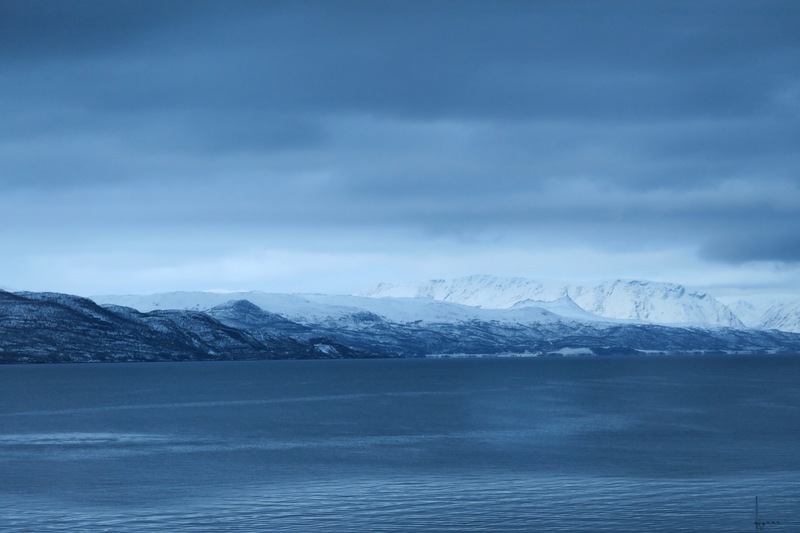 We really wanted to experience cold, snowy, Arctic Norway. 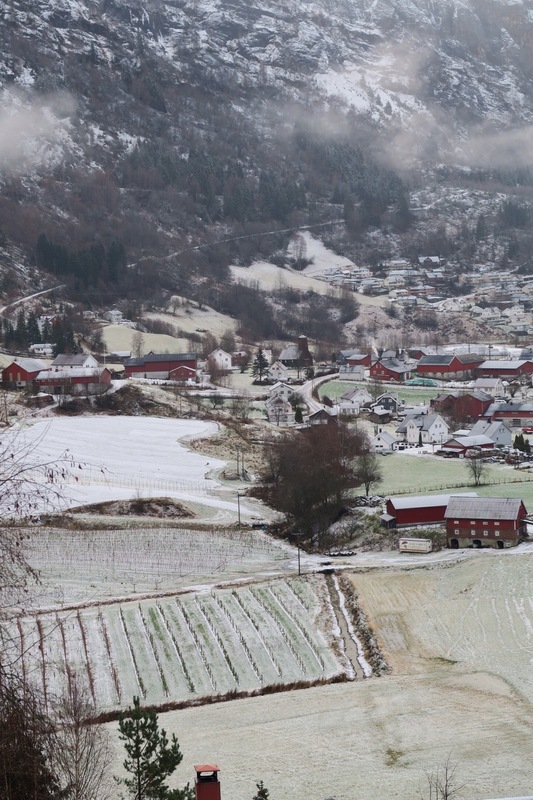 I’d always assumed that Norway was snowy for most of the year but it’s not. 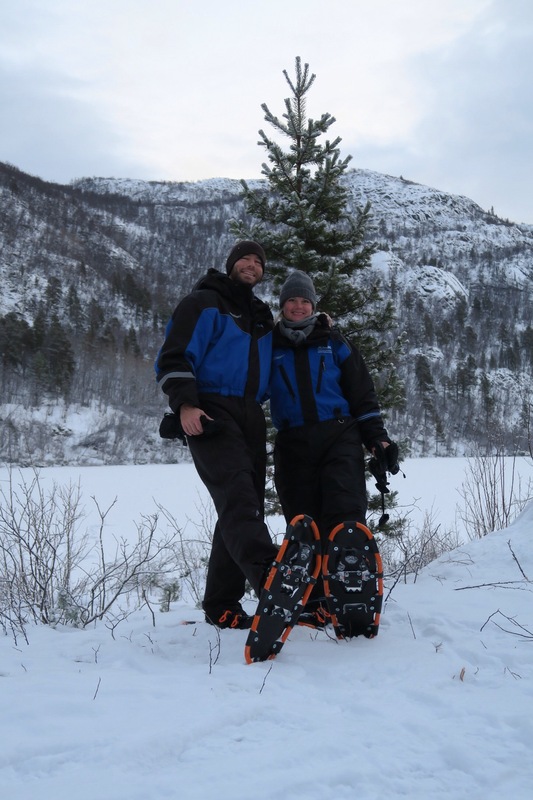 So we had to fly all the way north, to the town of Alta (400 km north of the Arctic Circle), to experience the Norway that had been on our bucket list. We’re so glad we did. Alta turned out to be one of our favorite spots of the whole trip. We immediately fell in love with the water and the mountains, which were all kinds of enchanting shades of gray that changed almost hourly. We jumped right into the Arctic lifestyle, eating reindeer (it felt a little mean so close to Christmas but it was tasty), relaxing in the jacuzzi and taking slippy walks on the icy roads. 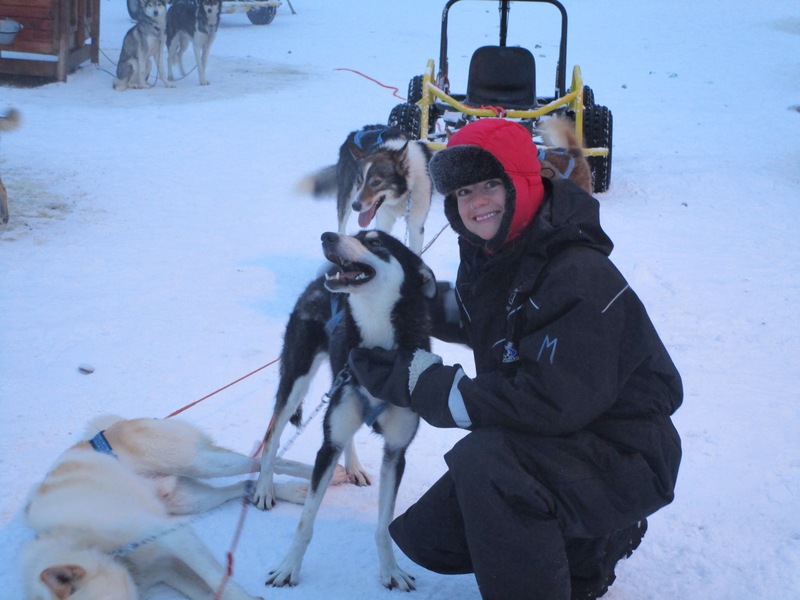 We even went dog sledding, which surpassed all of our expectations. We both loved driving the sled, cuddling the dogs and waddling around in our massive snow suits. The next thing we tried was ice fishing. 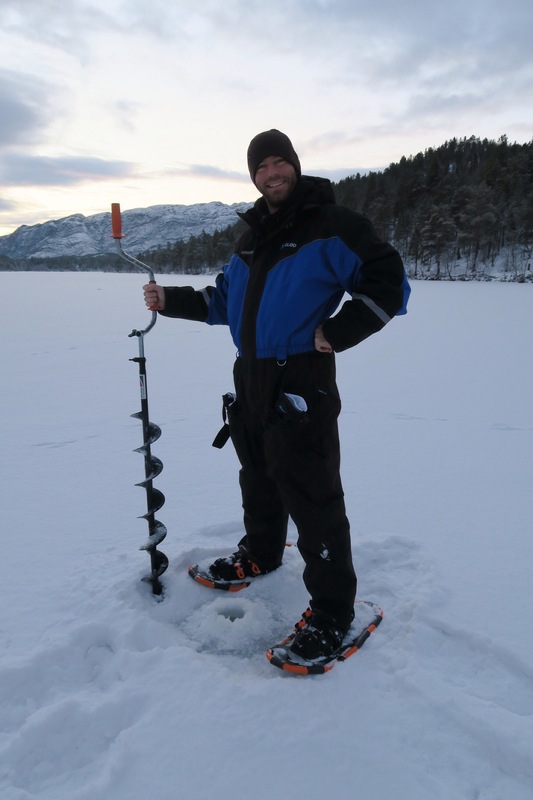 We got to dig our own holes with a massive hand crank and then had a good laugh over how small our poles were. 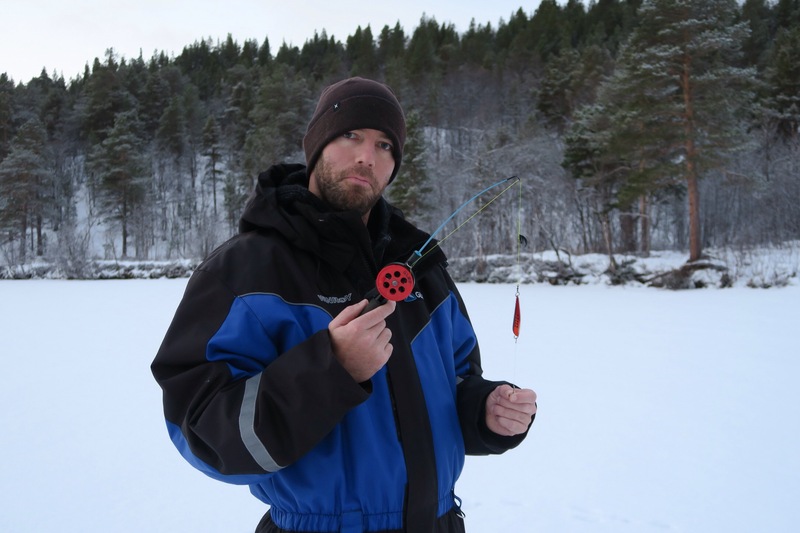 Unfortunately, we liked ice fishing more than the fish liked us. We sat out on the frozen lake for quite a while and didn’t get even a single bite. We still considered the day a success. After all, it was a day spent relaxing in nature–and that’s our favorite kind of day. We also broke Mac’s snowshoeing curse, which was a major win. He’d always wanted to go snowshoeing in the past, but something happened every time to make it impossible. He finally got to go snowshoeing in Alta and loved it. 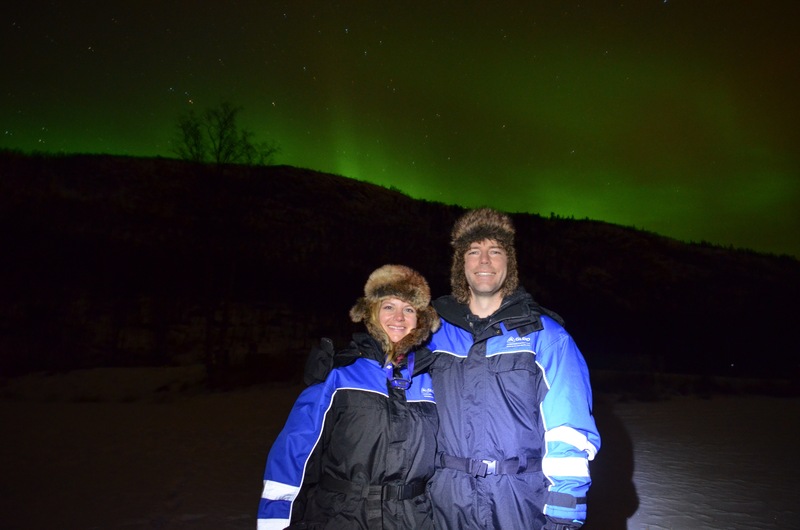 Everything we did in Alta felt like a dream come true, especially seeing the Northern Lights. We had been crossing our fingers that we’d be lucky enough to see them and they came out in full force on the night of our safari (we hired a guide to drive us around and literally hunt the Northern Lights with our cameras). It felt like the perfect ending to our Europe trip, the brilliant manifestation of the travel magic we’d been experiencing for months. Because it wasn’t just Alta that was a dream come true: it was our whole trip. We thanked our lucky stars that we’d been lucky enough to see so much of Europe … and Morocco and Turkey. But after Scandinavia, we were off on a different kind of adventure: SE Asia. So we traded our snow suits for swim suits and hopped another plane for the last major chapter in our travel story.